Happy half-New Year! We're at the halfway point of 2014, and thought this would be a good time to take a look at what our favorite pop culture items are so far. This week: Comics! You can purchase/pre-order a selected copy of each of these series by clicking on the title. While Thor: God of Thunder and Afterlife with Archie were close contenders, the masterful return to form by David Lapham to his classic series has been an absolute joy to read–well, that is if you find nihilistic and depressing tales of young people in the early '80's and their violent, turbulent lives joyful. Great cartooning, heartfelt (and heartbreaking), and instantly classic. The premise of a school of deadly teenage assassins does not sound up my alley, but Remender and Craig have put together a truly fantastic series that was wholly unexpected. It's one of the most emotionally raw books on the shelf, and Craig's art is simply stunning and wildly original. 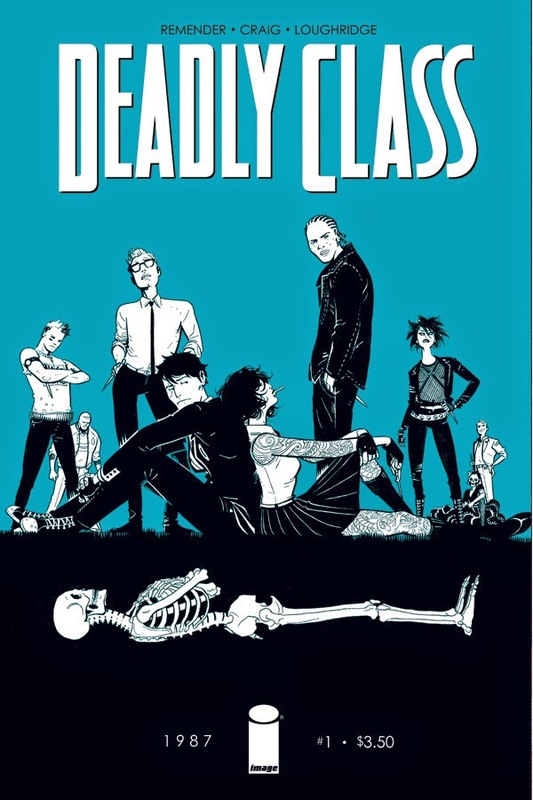 Whether the kids are on a homework assignment out in the city or on a Fear and Loathing style road trip to Las Vegas, Deadly Class is always at the top of my stack and each issue a pleasant surprise. 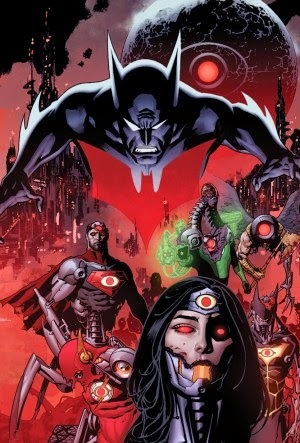 As a Batman Beyond and alternate future fan, I was pretty psyched for this. 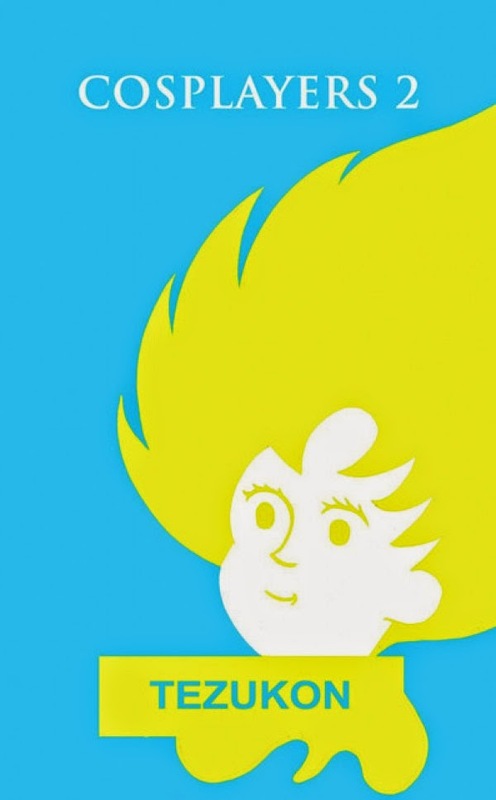 While there have been one or two stand out issues, the whole thing has been a bit of a train wreck. Unlike the wonderful 52, the individual voices of the great writers involved seems to have been drowned out by editorial direction. Not worth a weekly $4 unfortunately. This guy is doing some of the best work of his career, and boy is there a lot of it: the sprawling Marvel epic that is Uncanny Avengers, the personal and exceptionally unique Deadly Class, the insanely fun and stylish Winter Soldier: The Bitter March, the out-there and heart-pumpingly intense Black Science, and of course his continuing saga of Captain America. What these great books all have in common (besides all being at the top of my pull list) is the raw emotional intensity that Remender continually brings to a wide variety of styles and subjects. 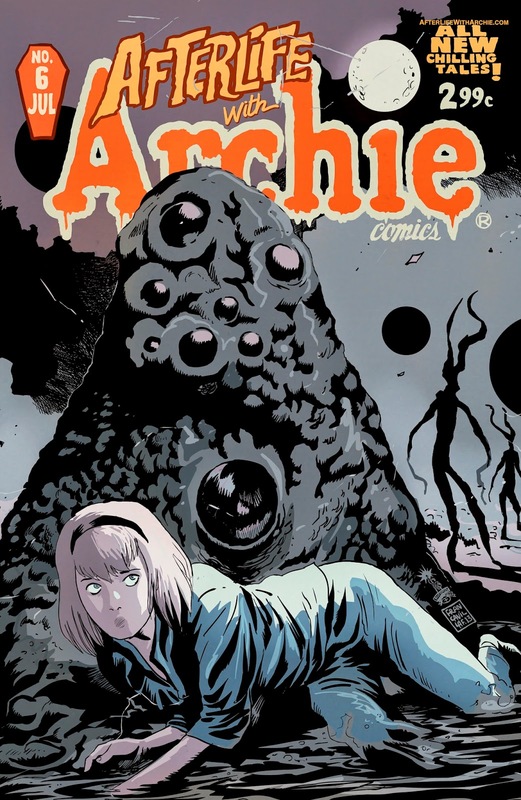 Three words: Afterlife with Archie. Francavilla has managed to capture a tone that makes it feel like Halloween every month, and each page constitutes a masterpiece in genre illustration. This is all on top of the fantastic week to week cover work he consistently pulls off! This is very recent, but it's definitely worth including: after the first one-shot a couple months back, Dash Shaw returns with a sequel that brings his unique indie humor and heart to small niche conventions and all the weird relationships that spawn out of dressing up as your favorite character at a small remote hotel. Plus there are great pinups that beg to be, well, pinned up. That this isn't one of the biggest new debut comics of the decade surprises me, given how well writer G. Willow Wilson absolutely nails the tone of classic Marvel comics - conflicted hero, family drama, teen angst, superpowers - updated for the modern age. 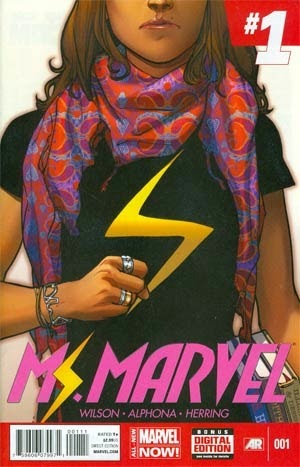 Flawlessly executed, great new characters, fantastic art (courtesy of Adrian Alphona), Ms. Marvel makes a powerful argument that even one of mainstream comics' oldest genres, the teen superhero book, still has a lot to offer. There's no book I'm more excited to read each month. I didn't really know what to expect from this book, but I certainly didn't expect what I eventually got - and thank goodness for it. Charles Soule has made She-Hulk into a whip-smart, fast-paced legal comedy that's equal parts Avengers and Brazil. Add to that Javier Pulido doing some of the best work on the shelves, and you have a recipe for a truly spectacular new book. 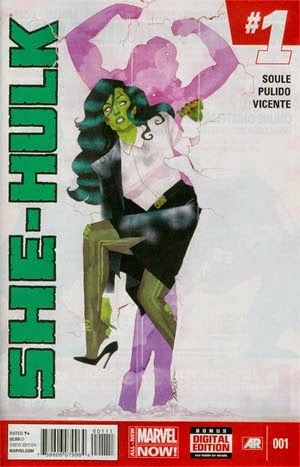 What makes She-Hulk such a pleasant surprise is how unlike the rest of Soule's work it is, how quickly he's building a memorable cast of outcasts and also-rans, and how loopy and personal the book's sense of humor is. A fantastic hook - Old Gotham vs. New, with a cast of hundreds - got off to a rocky start with some truly awful issues. While the series has since righted ship to a degree, I can't even fathom defending the first three issues of the book, particularly given the level of talent involved. 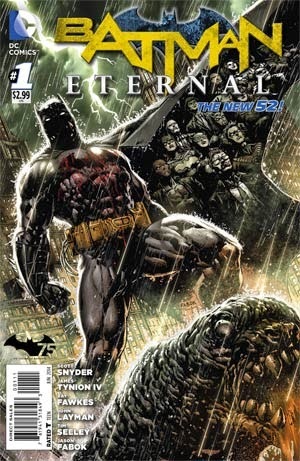 Even at its best, the first two months of Batman Eternal were disappointing; the first three weeks were outright embarrassing. 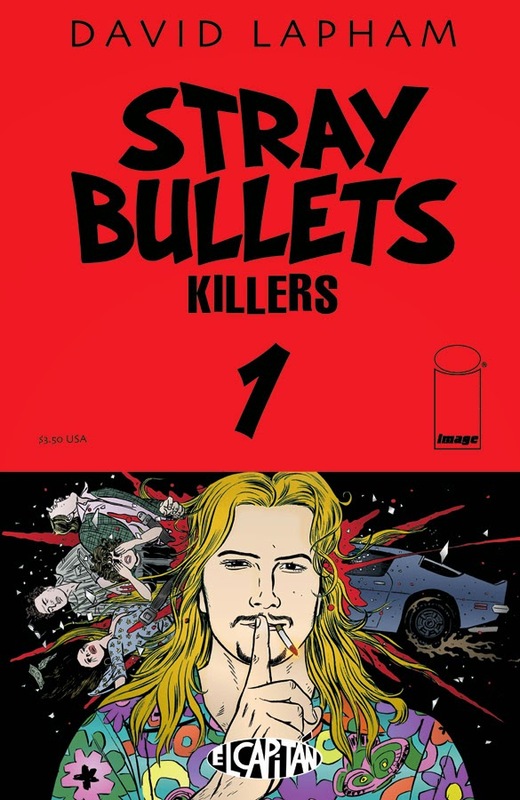 Warren Ellis seemed to have disappeared for awhile from the comics industry, having trouble finishing projects - Yes, I'm still angry about Fell - and taking time to focus on his prose work. This year, he returned to mainstream comics, first with a stint on Avengers Assemble (co-writing with Kelly Sue DeConnick, weirdly), and then with a Moon Knight revamp and his own Image series, Trees. 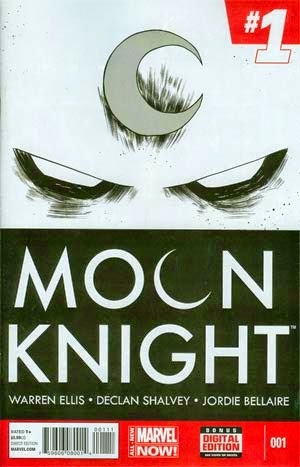 Trees got off to a moody, fascinating start, but I'm giving it up for Ellis for his 5-issue run on Moon Knight this year, which fixed a troubled character, gave us some of the best action storytelling this side of Hawkeye, and did it all in five single-issue stories. It was a brilliant run, and while I wish he was staying longer, there's something to be said for dropping the mic after you bring down the house. Sure, Emma Rios only technically did two issues of Pretty Deadly this year, but I left the series off my list last year because it started so late in the year... only to find it ending (at least temporarily) this February! But even if she just did two issues, Pretty Deadly is career-defining work, with gorgeous layouts, strong character design, great action, and memorable landscapes. 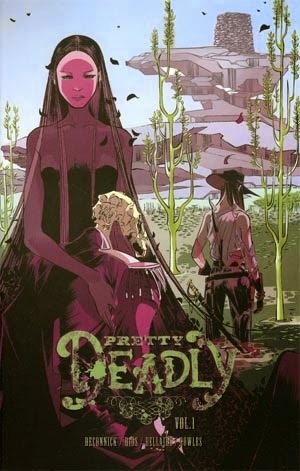 Whether she was illustrating the history of the setting through classic storytelling form (and early precursor to comics) cantares de cego or giving us a long-awaited, spectacularly illustrated duel between Fox and Ginny, Emma Rios did some breathtaking work on Pretty Deadly. I can't wait to see where she goes next. 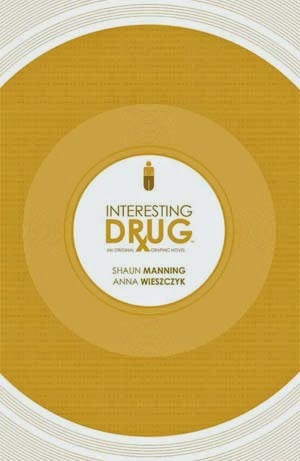 I already wrote about this one here, but the gist of my longer review is that Shaun Manning and Anna Wieszczyk have crafted a memorable time travel tale in Interesting Drug by focusing more on the emotional and social fallout than on the technical logistics or weird wonders of the sci-fi technology. Time travel is actually the vehicle for a 'nostalgia-as-drugs' metaphor that is only sporadically overplayed, and by the end of the book, Manning and Wieszczyk have mined it for some fairly chilling imagery, courtesy of Wieszczyk's dreamy, ethereal art and a story so focused the apocalypse seems like an afterthought. It reaches its end this month, but every 30 or so days, Ed Brubaker and Sean Phillips' Fatale is the most compelling and consistent title I take in every month. The classic noir by way of Lovecraftian mythos is the diametrical opposite of the HBO Series True Detective, in that its unspeakable horrors are "real", but at the same time, they're also spiritual cousins, covering alot of the same philosophical lines of thought. Brubaker and Phillips continue to prove they are the modern day equivalent of O'Neil and Adams, and doing it with their own twisted creations. I'll be sad to see it go away, but bring on The Fade Out. If you had told me I'd be loving a Luke Cage starring series a year ago, I probably wouldn't doubt it per se, but I'd definitely be skeptical. But here we are...halfway through 2014 and Mighty Avengers is my favorite of the Avengers books. This praise is attributable squarely on writer Al Ewing's shoulders, who took the concept of "Urban Avengers" and made it one of the most unique titles on the stands. A healthy dose of humor, pathos, and one of the most refreshingly diverse casts (done so in a very organic fashion) makes for one of the few superhero team-up books I'm actively interested in re-reading when its run is fully complete. His work on Loki: Agent of Asgard is right behind it in quality and given one more big critical success and you may see Ewing in contention for my Best Writer vote at the end of the year. I didn't expect Superman: Doomed to be worth a darn, and the concept of Doomsday itself was borne out of a sales gimmick over 20 years ago. But my disappointment stems more from the damage the book did to my interest in another title. Action Comics had finally righted the ship, having struggled to find a capable writer to handle Superman's on-going adventures after the close of Grant Morrison's stellar run. Greg Pak and Aaron Kuder came on board and presented the kind of Superman I wanted to read every month: optimistic, compassionate, and a man clearly defined by the two worlds that make up his person. After one very enjoyable arc, their run has been derailed in the creative quicksand that this aforementioned crossover. Even the best writers can struggle when editorial mandates take hold, Doomed is like a set of speed bumps just when they were about to take off. It's hard to argue with that kind of output. Fraction writes the kind of comics I like to read, and his inspirations are right up my alley. He found his perfect niche last year, and now in 2014 he's only writing what he wants to write, having abandoned the world of "Big Two" comics with the expected end of Hawkeye coming sometime this year as his final Marvel title for the forseeable future. 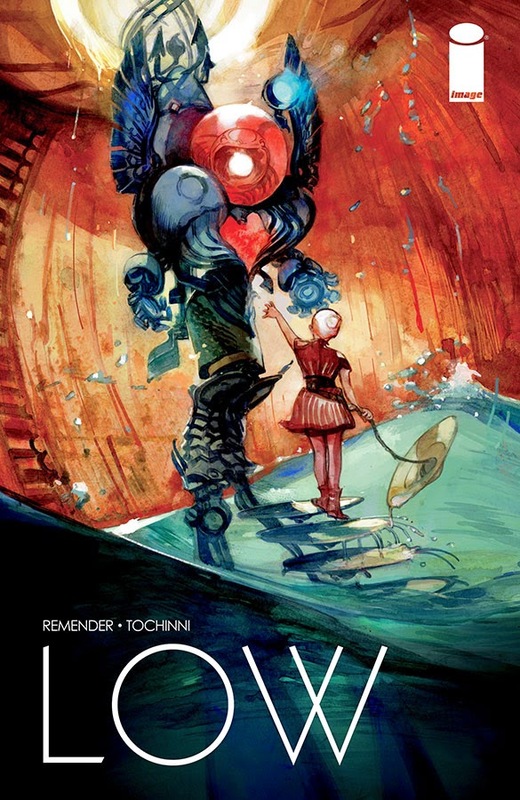 But have no fear, by the end of 2014 we should see Ody-C and Casanova Volume 4. 2014 is looking like the year we finally get Matt Fraction, unfiltered, and I can't wait to reap the benefits. No book this year thus far has been more beautiful than East of West with Nick Dragotta drafting stunning landscapes and striking, memorable figures. Jonathan Hickman may have conceived of the Alt-History/Sci-Fi Western, but its Dragotta who made it breathe. Teamed with colorist Frank Martin, East of West is littered with haunting visuals, kinetic action, and my favorite use of the Hickman "red-blue dichotomy" yet. Even if the scripts weren't as great as they were, or if it was a completely silent comic, I'd still find much to love in East of West. Dragotta is just that good. As a sort of counter-point to my recommendation of Maggie the Mechanic in today's Comic Buyer's Guide, here's the bookend of that saga, released in April as a hardcover collection of Jaime Hernandez's stories in the currently published Love & Rockets: The New Stories. The Love Bunglers is the 30 year culmination of Maggie Chascarillo's journey from young punkette mechanic to middle-aged, rubenesque apartment manager. To say much else would ruin it for those new to Hernandez's opus, but this is without a doubt the most emotionally satisfying comic I've laid my eyes on in many a year. Having some background in Maggie (and her paramour Ray) helps, but as a tale of middle-age love, it hits a universal bulls- eye. Being a native Alabamian, I am quite familiar with stories about the South. 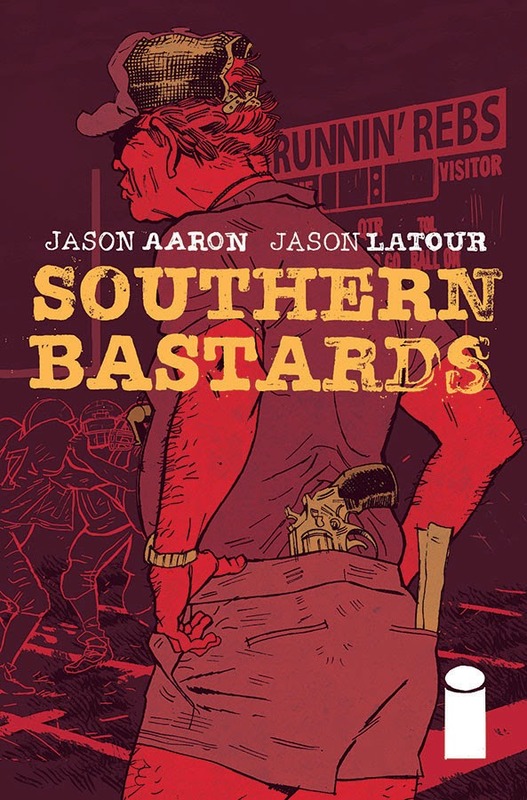 Not too many comics have taken on the Heart of Dixie, but that all changed this year with the release of Southern Bastards, an Image Comics series from Jason Aaron and Jason Latour. Essentially, the comic could be filed in the Southern noir genre. Telling the story of a man coming back home and dealing with small town corruption, Jason Aaron has proved in just three short issues that this comic is going to make a huge impact. Latour's artwork only makes this an even better read. Both of these men perfectly understand the South, making Southern Bastards the best comic of 2014 thus far. Recenty, Joshua Williamson has begun to get his name out there in the comics world. Last year, his creator-owned series Ghosted debuted with Image, but the writer also has a recently launched Robocop comic as well as an upcoming Predator series. This year saw the debut of Williamson's latest original work: Nailbiter. Set in a town which has birthed a dozen of the country's most notorious serial killers, Nailbiter combines horror and murder mystery in a comic that is even more impressive than Ghosted. While that comic takes on various ghost story tropes, Nailbiter takes on the slasher genre. Thus far, Williamson as well as artist Mike Henderson are setting themselves up for a huge hit that is genuinely terrifying at times. What makes this comic such a surprise is just how good it has turned out to be for its first three issues. 2014 is going to be a huge year for Marvel's cosmic Avengers. 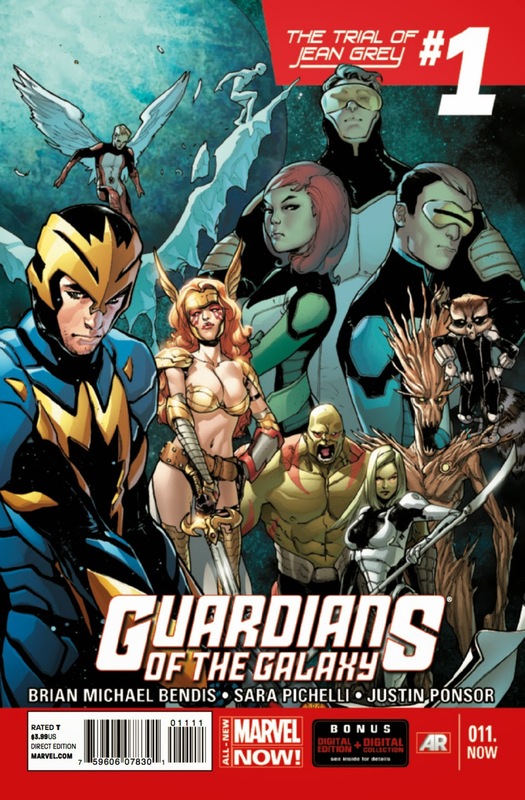 Launched over a year ago, Brian Michael Bendis has been in charge of helping new readers to come to understand the Guardians ahead of the film's release. The series started out with a ton of promise, and, admittedly, has had some of the most talented artists at Marvel. So far this year, though, Guardians of the Galaxy has been a bit of a disappointment, highlighting what makes this run on the series one of the weakest. Most of this year saw the Guardians crossing over with All-New X-men, a story which turned out to be utterly pointless for the Guardians. Not only was The Trial of Jean Grey a hopeless endeavor, but it helped point out just how little this title has been able to have its own voice, instead being mired in every crossover Marvel can throw at it. Maybe that will change after the film's release...I sure would like to love this comic again. This was easily my toughest choice for this article. I was trying to come up with a writer who I found myself turning to a lot, even considering just choosing one of the writers who shows up on my pull list the most. 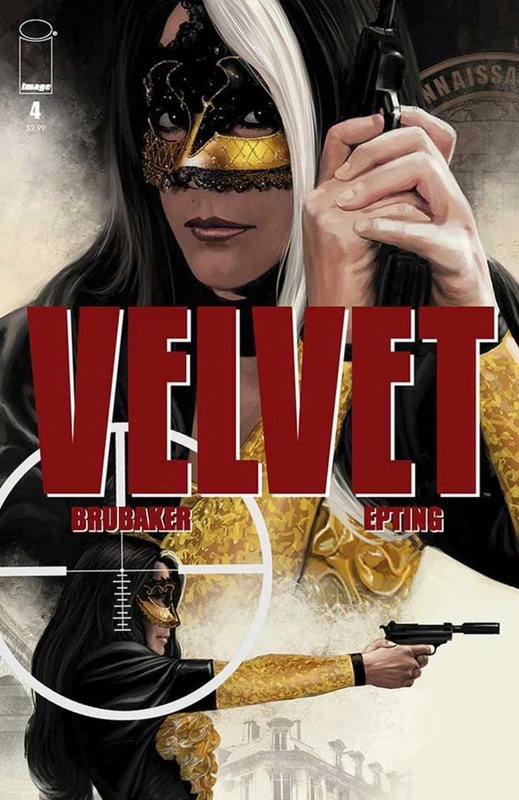 While those writers are all good, my mind kept going back to Ed Brubaker and the utterly fantastic series Velvet, which he writes with former Captain America collaborator Steve Epting. Telling an action spy thriller that seeks to ask what would happen if Moneypenny were just as deadly as 007, Velvet has really blown all of us here at GeekRex away in its short tenure. Part of that is definitely due to Epting's art, but Brubaker's writing is what makes this series so vibrant. A mix of original ideas and spy writing that hails back to Ian Fleming himself, Brubaker is easily the best writer of 2014 thus far. Let 2014 mark the year where I finally jumped aboard the Allred train. Sure, I had seen so many of you gushing about Allred and Fraction's FF, last year, but Fantastic Four left such a sour taste in my mouth each month, that I just couldn't bear to venture into that world for a second comic at the time. 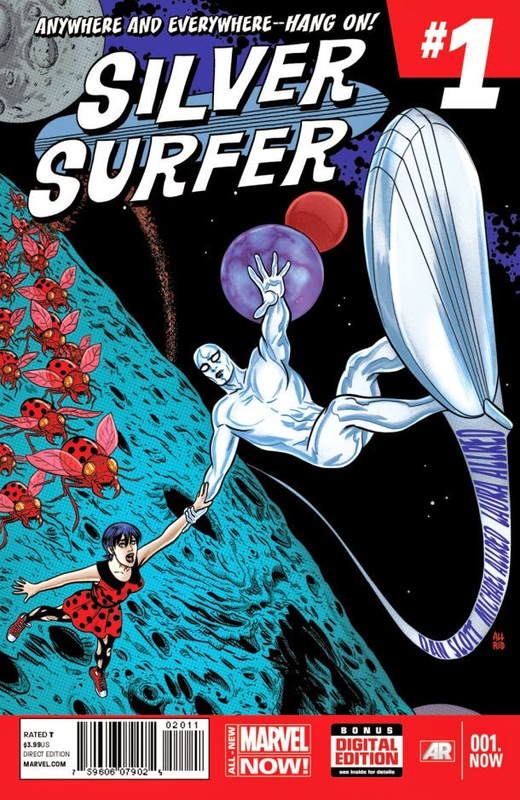 Fortunately, FF ended and Mike Allred began doing art on a new series: Silver Surfer, written by long time Spider-man writer Dan Slott. Slott's writing is VERY hit and miss with me, but the way he approaches the Surfer as basically a Marvel Doctor Who helps to make his writing bearable. Where Silver Surfer really shines, though, is in Mike Allred's art, which is a stunning work of outrageous characters and settings. Pair that with Laura Allred's colors and you've got yourself a gorgeous comic to behold. Okay, okay, I may or may not have cheated a bit in my selection for this category. As much as I read comics, I honestly do not read a ton of stuff that is published as either a one-shot or an OGN. I don't buy everything in individual issues, but my trade purchases almost always began as a series of comics. That being said, I decided to select a mini-series which ran for five issues, meaning you should definitely pickup the collection of this series when it debuts. Enter: Rover Red Charlie. You may recall this comic showing up on my Best of 2013 selections. The mini-series ended this year, meaning that we should be getting the trade before the year is out. 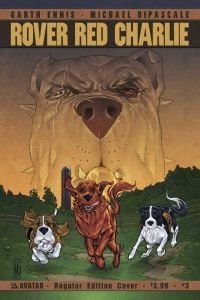 Telling the story of three dogs in the wake of an unknown apocalypse that wipes out much of humanity, it is amazing to see just how much heart writer Garth Ennis puts into Rover Red Charlie. 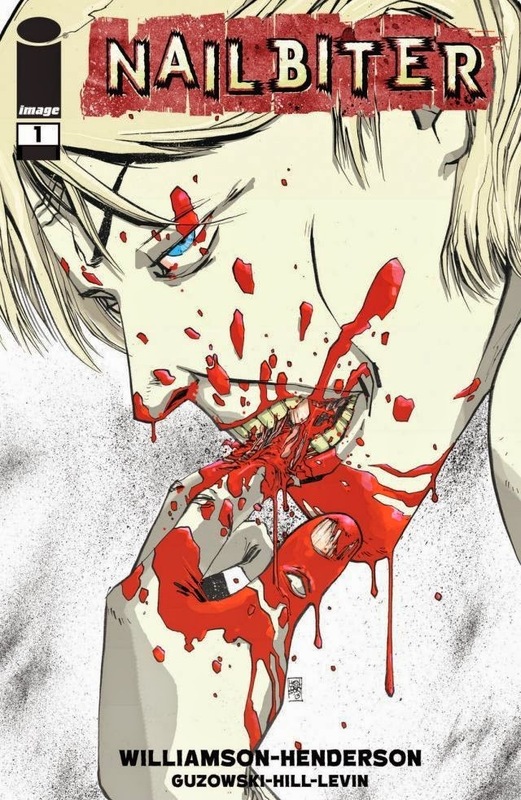 A comic that is brutal, funny, disgusting, and heart-warming in each of its five issues, this is a comic which more of you should have bought when it debuted....so definitely make up for that by purchasing the collection. Did I mention Rover Red Charlie is also the only comic to make me cry so far this year? Yeah...it's that good.